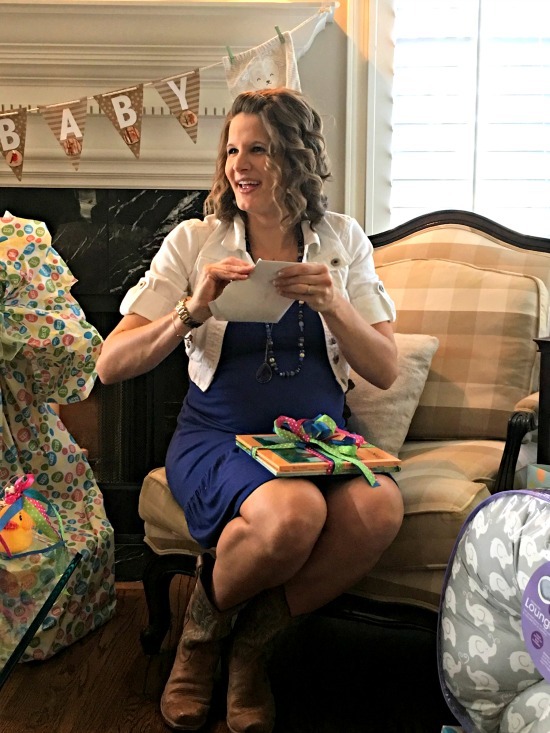 Back in February, my sisters-in-law and I threw a baby shower for our niece Emily. 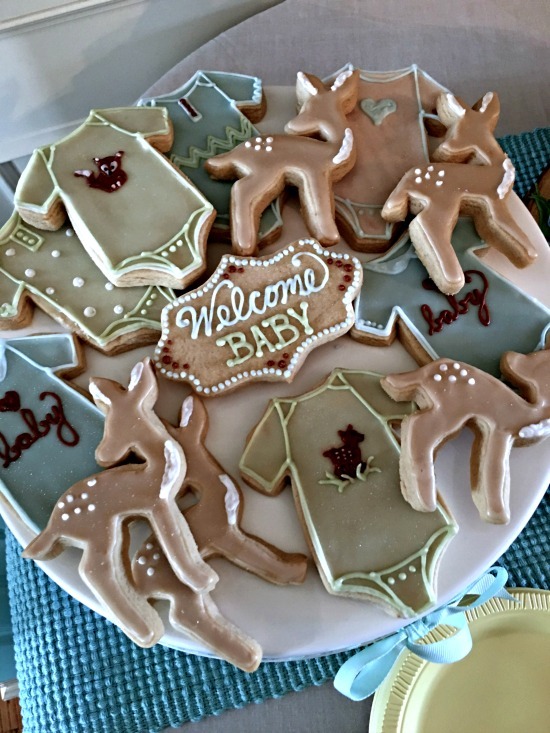 I had forgotten how much fun baby showers are. It was a treat to host this one. 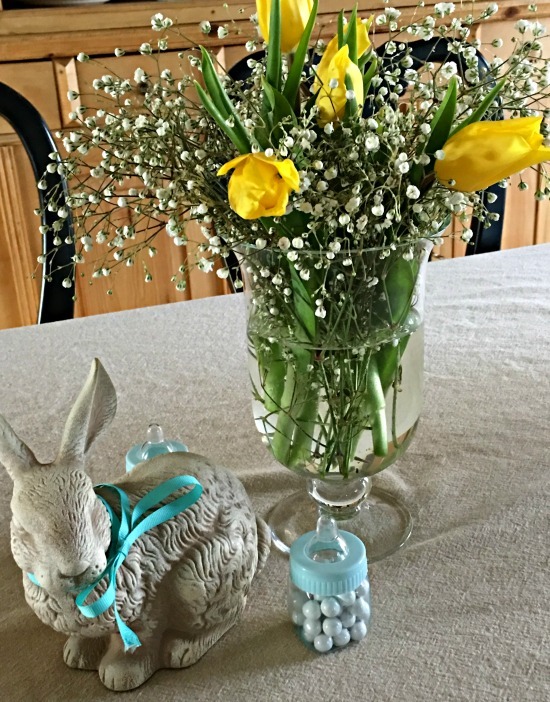 My sister-in-law Julie (the other Julie in our family) and I created a shared Pinterest board, started pinning all things baby shower to it, and texted each other back and forth about what we were liking. 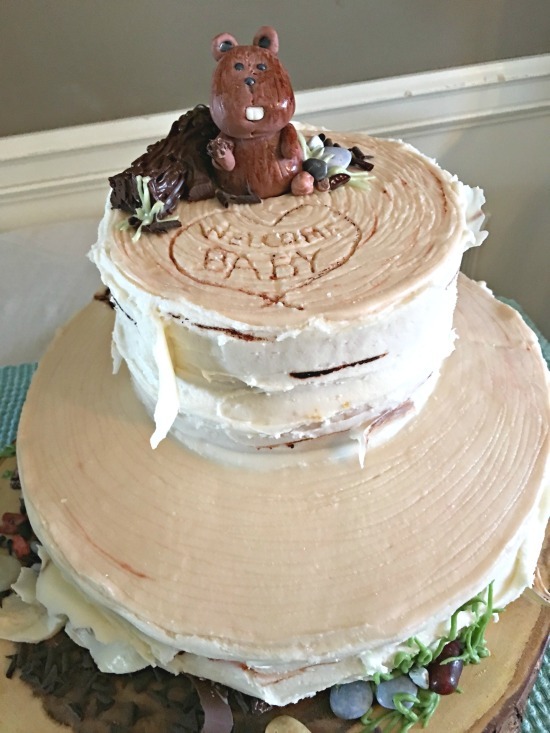 The shared Pinterest board is not a bad way to go if you’re co-planning an event, FYI. 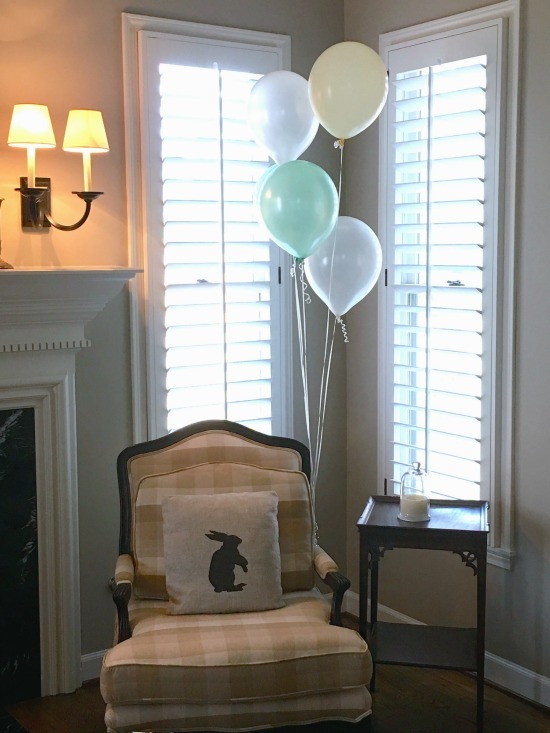 We settled on a woodland animals theme (very hot right now, we discovered) with a heavy emphasis on bunnies. 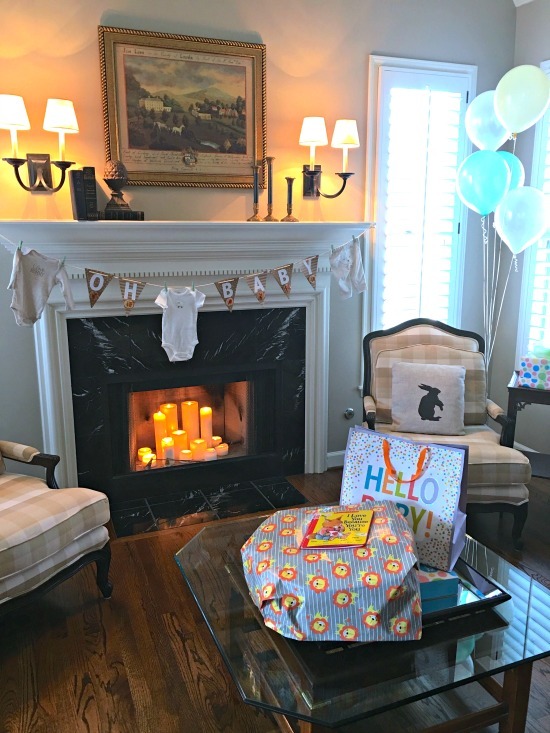 This gender neutral theme worked well since Emily and her husband chose not to find out if they were having a boy or girl beforehand. This is our Emily, the cutest pregnant lady ever. 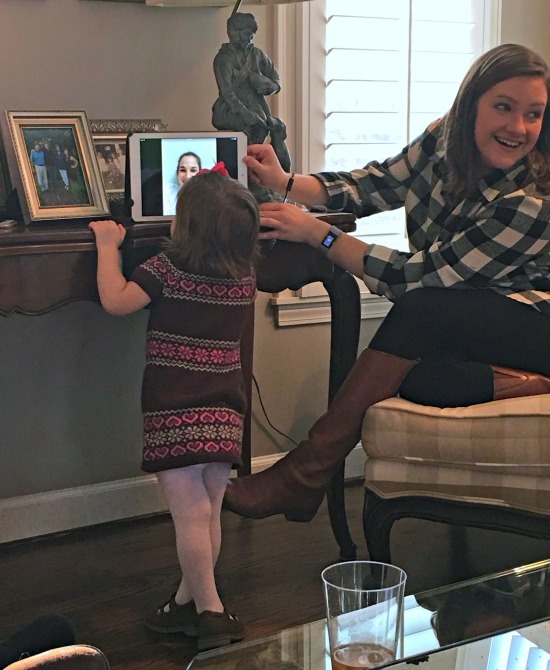 Emily’s sister attended via Skype from Finland, where she is playing volleyball. 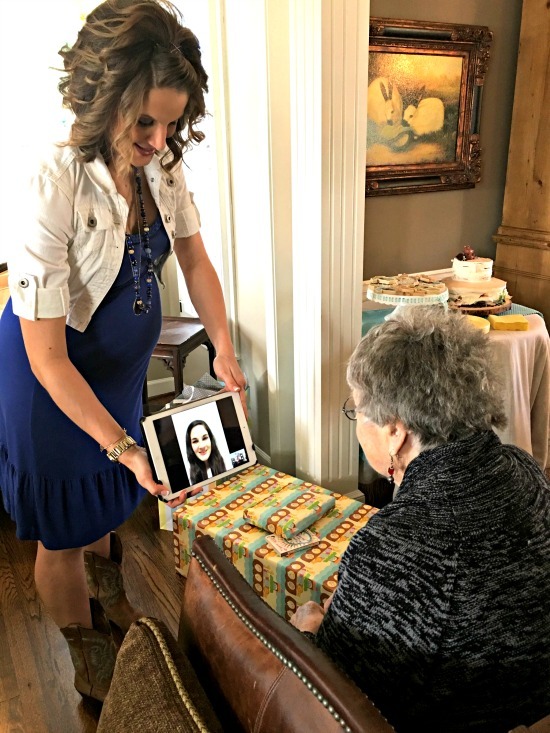 Here she is talking to her grandmother, my mother-in-law. Our littlest shower guest loved stopping by to say hi to her cousin every now and then. 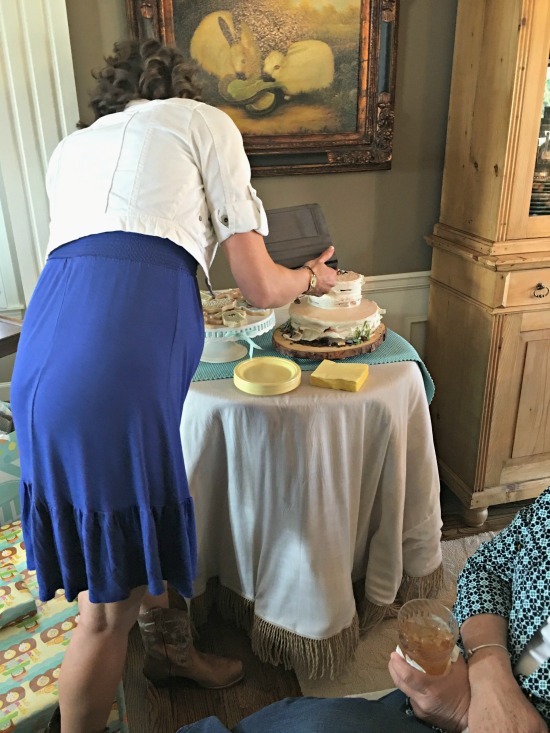 And Emily was able to show her sister the cake and cookies that (the other) Julie arranged. They were the hit of the shower. These cookies were every bit as delicious as they were pretty. 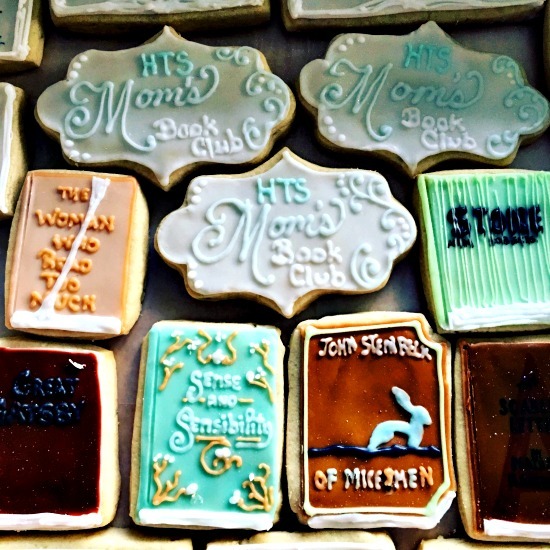 They were so good, in fact, that I got in touch with the woman who makes them to ask if she could make some for my book club, and she did these on less than 24 hours notice. Amazing. And delicious. P.S. More food and celebrations.